This entry was posted on Thursday, May 28th, 2015 at 9:56 am and is filed under Photography. You can follow any responses to this entry through the RSS 2.0 feed. You can leave a response, or trackback from your own site. 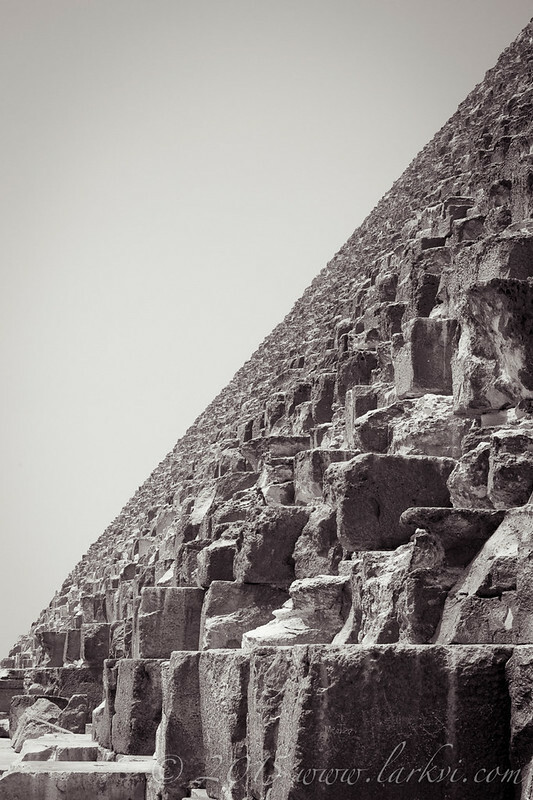 Layers of stone blocks leading up the the peak of the Pyramid of Khufu (Cheops). Being at the base of the pyramids, one really appreciates what a mad endeavour they were, transferring so much stone out into the desert, to build giant mounds for small chamber tombs.